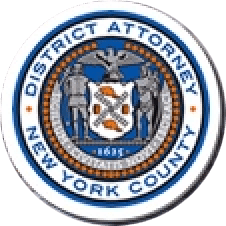 Manhattan District Attorney Cyrus R. Vance, Jr., today announced the trial conviction of SHAUN MARTIN, 35, for killing 62-year-old Mohammed Akkas Ali and seriously injuring two of Ali’s coworkers by crashing his car into the East Village Farm and Grocery Store while under the influence of drugs. MARTIN was convicted following a bench trial in New York State Supreme Court of all of the charges against him, including Murder in the Second Degree, Aggravated Vehicular Homicide, and Assault and Reckless Endangerment in the First Degrees, among other charges. He is expected to be sentenced on September 21, 2016. As proven at trial, at approximately 6:50 a.m. on June 19, 2013, MARTIN sped through the East Village in a white Nissan Altima, driving more than 50 miles per hour, while impaired by both phencyclidine, commonly referred to as PCP, and methamphetamine. Cutting across three lanes of traffic, MARTIN drove onto the sidewalk and struck a fire hydrant, a pay phone, a muni-meter, and a tree, before crashing the car into a flower stand attached to the East Village Farm and Grocery Store on the corner of East 4th Street and Second Avenue. MARTIN struck three of the store’s employees, including Mohammed Akkas Ali, who died as a result of injuries he suffered from the crash. A man riding a bicycle was also injured by debris from the crash. Assistant District Attorney Harrison Schweiloch, Deputy Chief of the Vehicular Crimes Unit, tried the case with Assistant District Attorney Constantine Coritsidis, under the supervision of Assistant District Attorneys Jill Hoexter, Chief of the Vehicular Crimes Unit, and William Mahoney, Chief of Trial Bureau 60, as well as Executive Assistant District Attorney John Irwin, Chief of the Trial Division. Assistant District Attorneys James Lin and Megan Joy provided assistance with the case, as did Vehicular Crimes Unit Coordinator Ashley Vogel, Paralegal Corey Matthews, and Detective Investigator Siobhan Berry.